Is the only cigar brand to have 10 different blends rated 90 or above. The CAO Champion Sampler includes 1 of each of the cigars listed below, all of which have been rated 90 or higher by Cigar Aficionado! 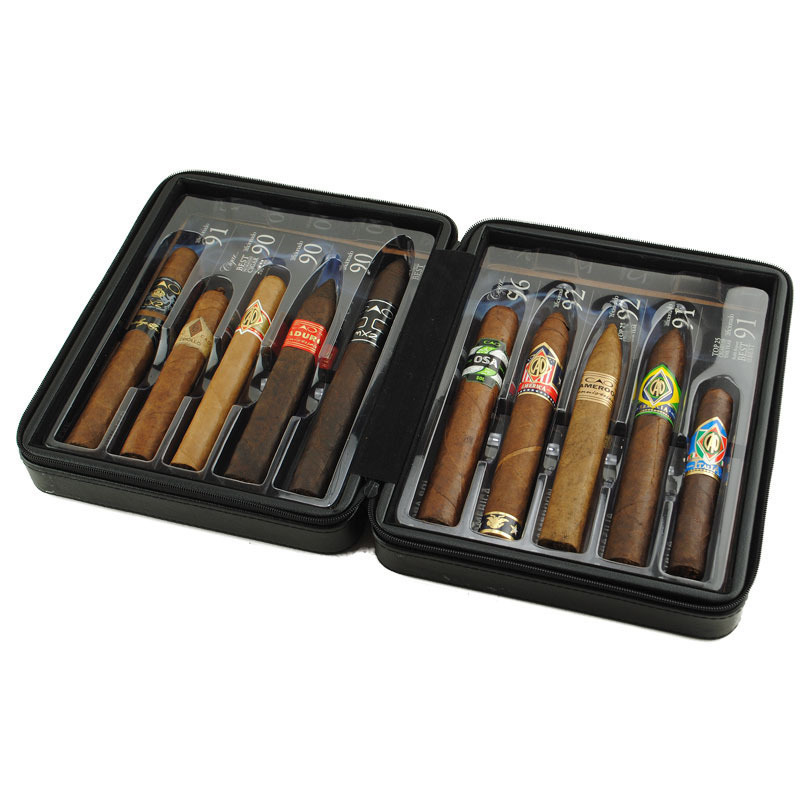 What sets this sampler apart is that the cigars come in a gorgeous CAO, cedar lined black travel humidor. This makes for a perfect gift for any cigar smoker! CAO Champion Sampler II is the second edition of this outstanding collection of some of the very best offerings from CAO. Not only does this sampler come with a great cedar lined black leather travel humidor as a bonus. Everything CAO touches turns to gold, and it’s on full display inside the ‘Champions’ sampler. Experience ten different blends from mellow to full-bodied. You don’t know what to choose? Well, get this sampler and try it all!! 1 – Travel Humidor FREE!